Happy St Patrick’s Day! Guinness might be the preferred drink for this most Irish of holidays across the globe, and I like a pint of the black stuff as much as the next person (unless that next person is my friend Mark, because nobody likes a Guinness as much as he does), but I’m also partial to something long and fruity, preferably with an umbrella in. So I was delighted to hear about the Smirnoff Irish Shamrock, a special Paddy’s Day cocktail that’s easy to make – and drink! Will you be trying this one at home? What’s your favourite Paddy’s Day tipple? 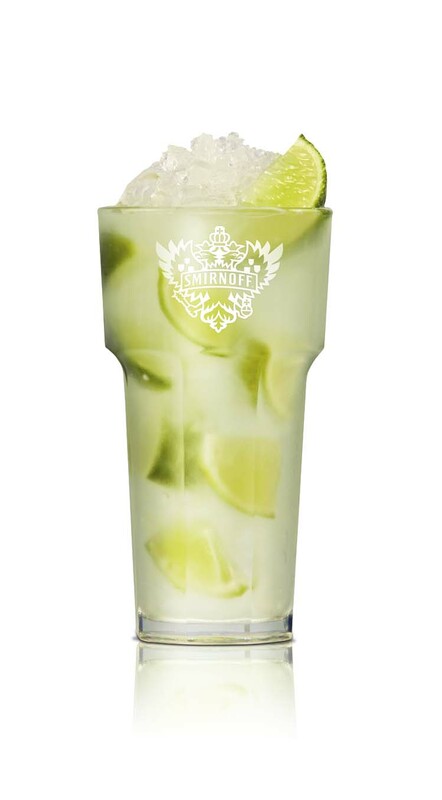 For more recipes from Smirnoff check out the website or Facebook page. That sounds gorgeous, much more ladylike as we are such mess-free ladies *ahem* hehe Happy Saint Patrick's Day E! Laura, doesn't it sound delish? Enjoy! Yum! Will defny be having one of these!!! Sounds yummy! Happy St Patrick's Day! This is perfect for our festivities today! Happy St. Patty's day my friend and my the luck o'the irish be with you! I used to enjoy drinking beer, but over the years - seems a little too filling. This drink looks perfect :) Cheers! Oh, that looks so refreshing. It makes me sad that I don't have any limes in the house. I found and followed your blog through the blog hop. Cant wait to see more.